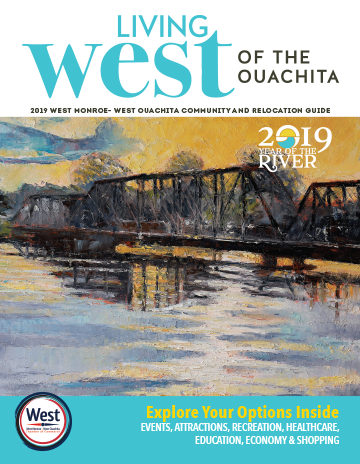 The West Monroe-West Ouachita Chamber of Commerce is proud to serve more than 600 members consisting of large and small businesses, industries, non-profit organizations and individuals. These members are the driving force of the local business community. The WMWO Chamber staff members and Board of Directors will continue to provide members with opportunities to network, expand business skills and learn more about the resources available in this region. If businesses are not WMWO Chamber of Commerce members, we encourage them to visit with our staff and learn more about ways the Chamber can strengthen their business. For more information about membership, please contact Membership Director Tom McCandlish at (318) 325-1961 or membership@westmonroechamber.org. The Chamber gives you numerous opportunities for networking at such events as luncheons, ribbon cuttings, open houses, Chamber Diplomats program, Business After Hours, Annual Golf Tournament and other activities. Your membership guarantees your concerns will be heard. Through partnerships with the City of West Monroe, Ouachita Parish Police Jury, Louisiana Department of Economic Development and other agencies, the Chamber makes available a variety of resources that make doing business here easier and more profitable. 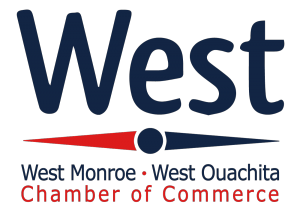 The Chamber is the 'Front Door' to West Monroe-West Ouachita, and as a member, your company will be associated with a highly visible and respected organization. Through the Chamber's many activities, you will have access to numerous potential customers throughout the community. The Chamber also offers many ways to list or feature your business and offers several sponsorship opportunities. The Chamber of Commerce makes many referrals each month, and we only recommend our members/partners. Participating in Chamber events and programs gives you a chance to market your business to the entire community under the respected umbrella of the West Monroe-West Ouachita Chamber of Commerce. You can expand your business through networking, low-cost marketing opportunities and business referrals. The Chamber offers opportunities for continued education through 'lunch and learns,' free sessions taught by experts on topics needed to stay competitive in the marketplace. Members have a chance to get involved by joining one of the Chamber's Committee initiatives. Members can take an active leadership role in the areas of education, economic development, governmental affairs and creating special community events. The Chamber represents the interests of the business community before local, state and federal government. This is your chance to learn the issues and how they may impact your bottom line. We monitor issues and activities that specifically affect our Chamber members and our business community. We listen to you and take action on your behalf. As a Chamber member, you have a special opportunity to assist our celebrated schools and teachers, and provide scholarships through the Adopt-a-School Program, Scholar's Banquet and Employees of Distinction Banquet. The West Monroe-West Ouachita Chamber Means Business! The Chamber's mission is to promote business and support our members/partners. With more than 600 members, the Chamber is an enthusiastic ally for business in our community. By joining together, we become a powerful voice. There really is strength in numbers. Through the Chamber, we can accomplish collectively what no one can do individually, and that is be the voice of business.